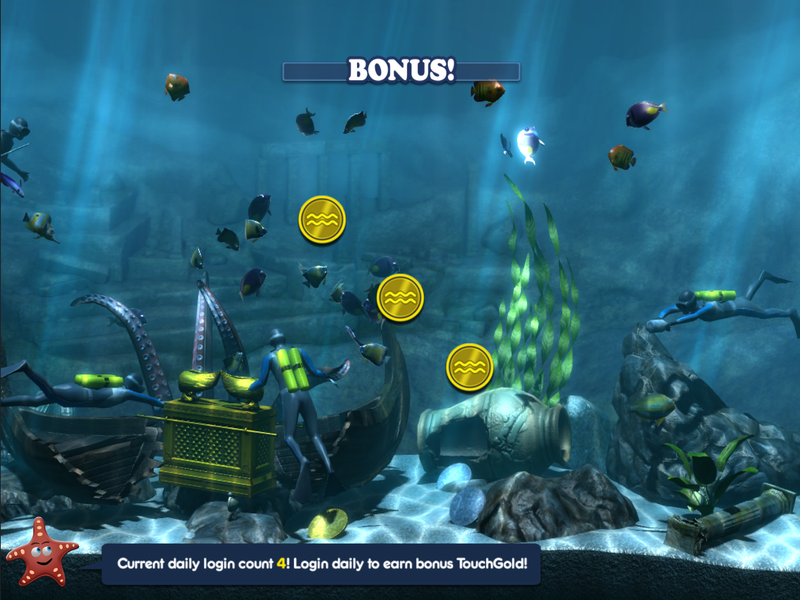 Did you know that each day that you play the game, you receive an increasing TouchGold reward? It’s true! As long as you open the game once in a given 24 hours, you will receive precious TouchGold, and this amount increases if you can login on consecutive days! The amount of TouchGold rewarded will reach a cap, but after that, if you maintain consecutive logins, you will stay at the maximum! Check in every day, ranch some fish, play with your Buddy, and you shall be rewarded! Use that TouchGold to speed up fish maturation with some Vitali Fish, or maybe give your Buddy extra Stamina with some tasty Buddy Power, or just get your self one of those extra fancy market items to make your tank look extra special!